The tangible delights of toying around with bubble wrap has enticed many. It’s not long before we realize how cool it would be to have other surfaces create the popping effect. 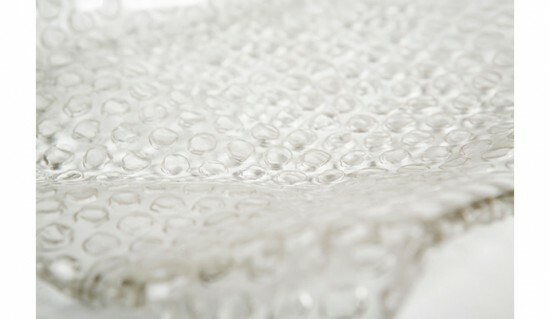 Though the protective plastic wouldn’t be easily substituted, we could broaden our minds to create something more beautiful like a bubble wrap simulation in glass. 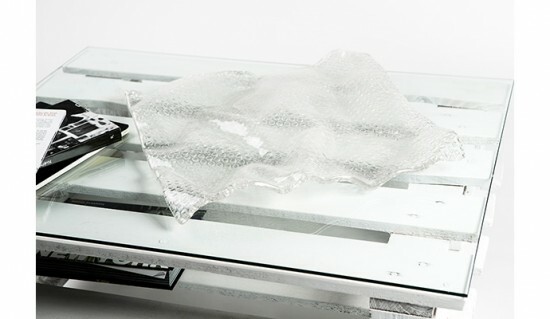 Studio Meddle have played on the idea of ‘fragile’ and the bubble wrap. Known to be the protective sheath for most fragile goods, how would the world be if the protector were to be made of fragile glass itself? That’s just the thought-provoking genius that this design has bought to life.